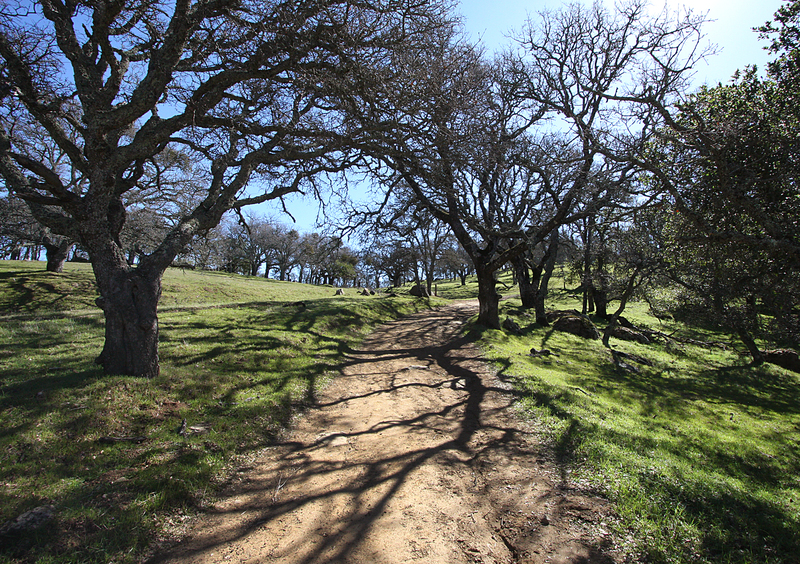 Even though the official start of spring is more than a week away the last few days have been an early glimpse of the warmer days ahead. 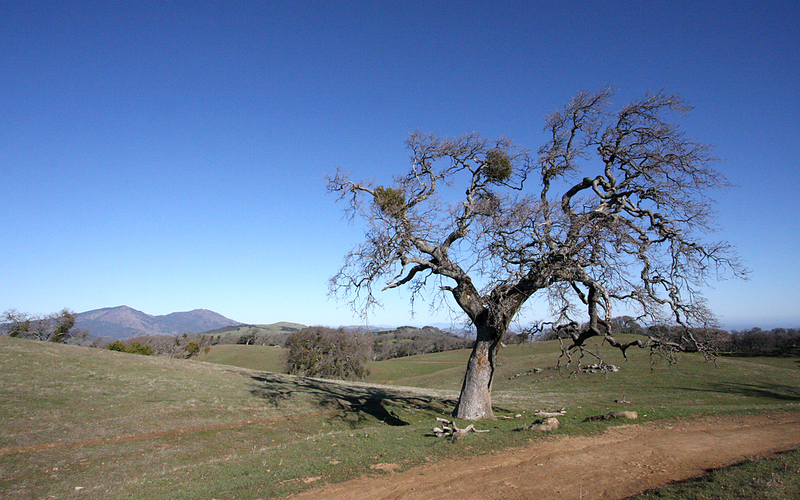 On the trail the breezes are cool, the hills are still green and the first blossoms are on the tree branches. 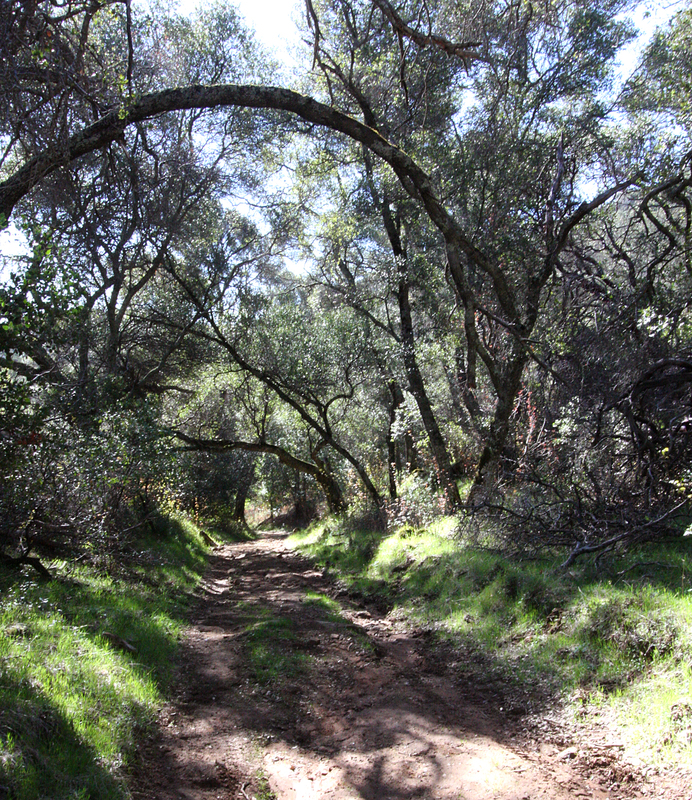 It is a wonderful time on the trail as the muddy months of winter slip into the colors of spring. 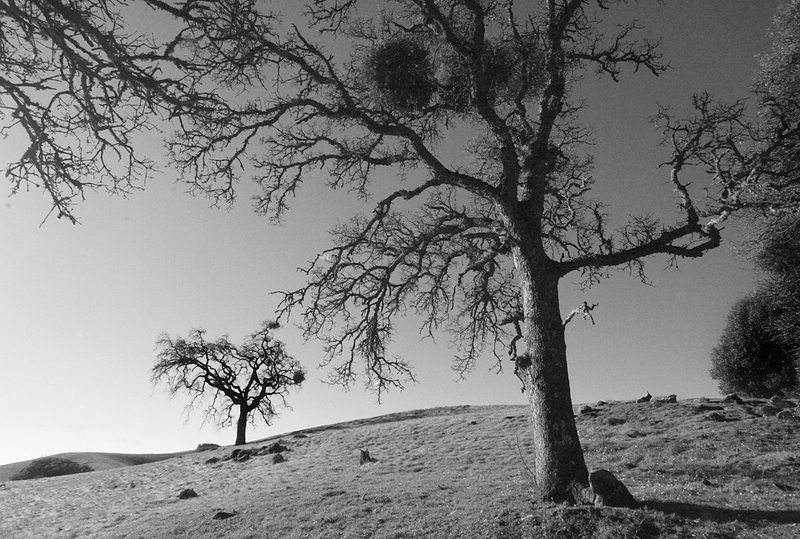 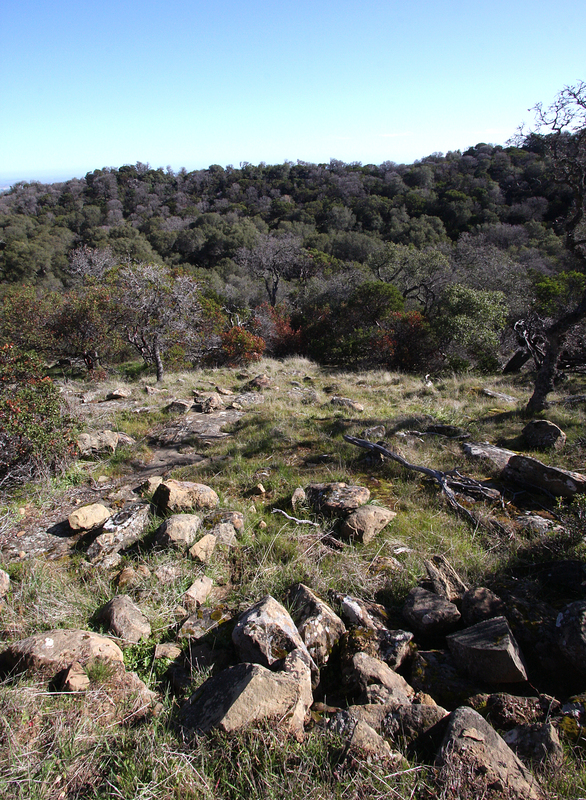 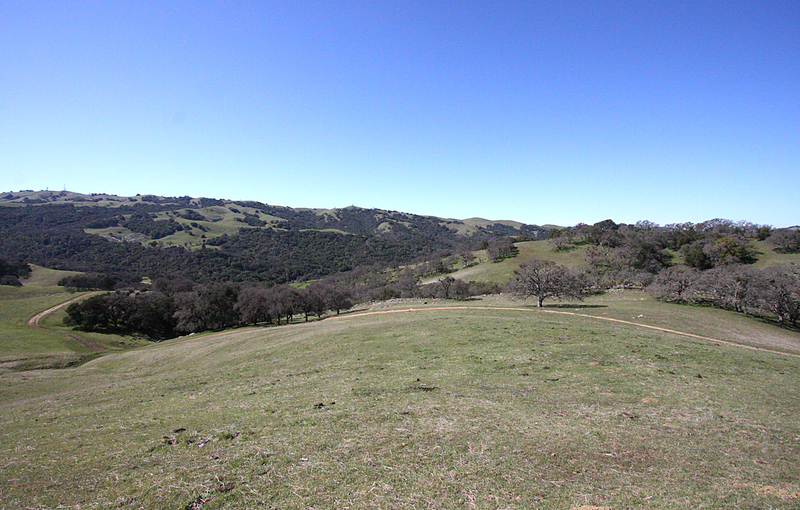 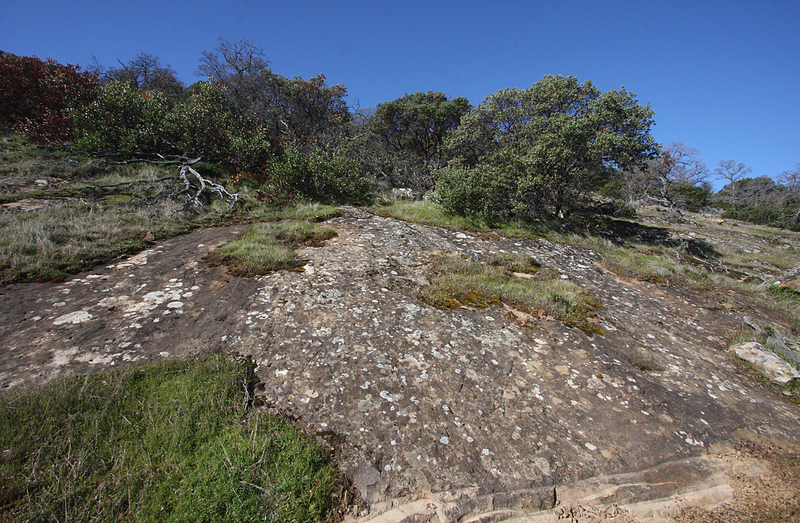 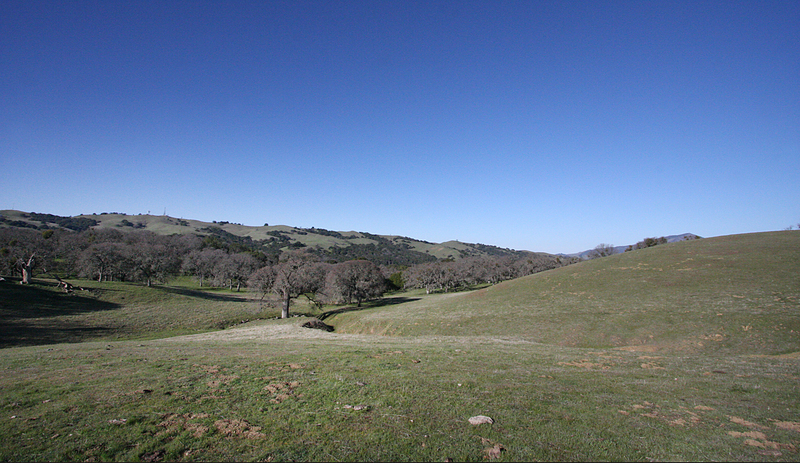 My hike this weekend was trip through the rolling hills of Morgan Territory regional Preserve. 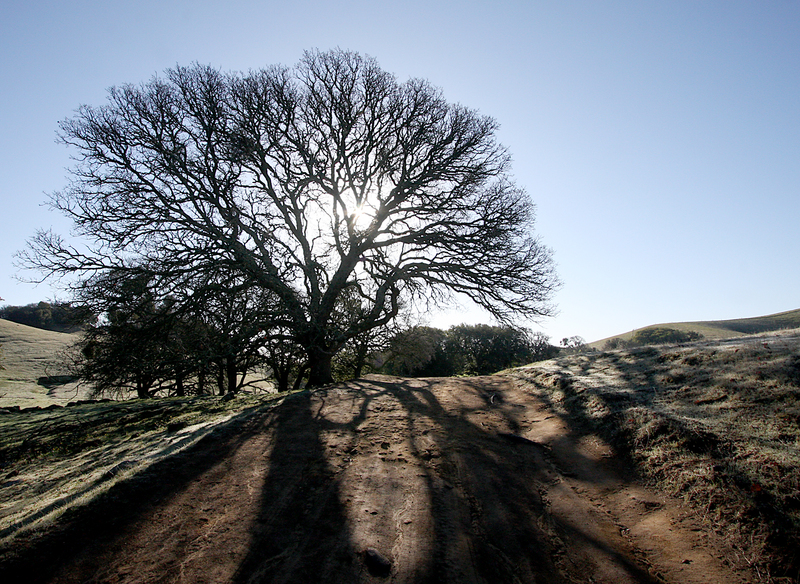 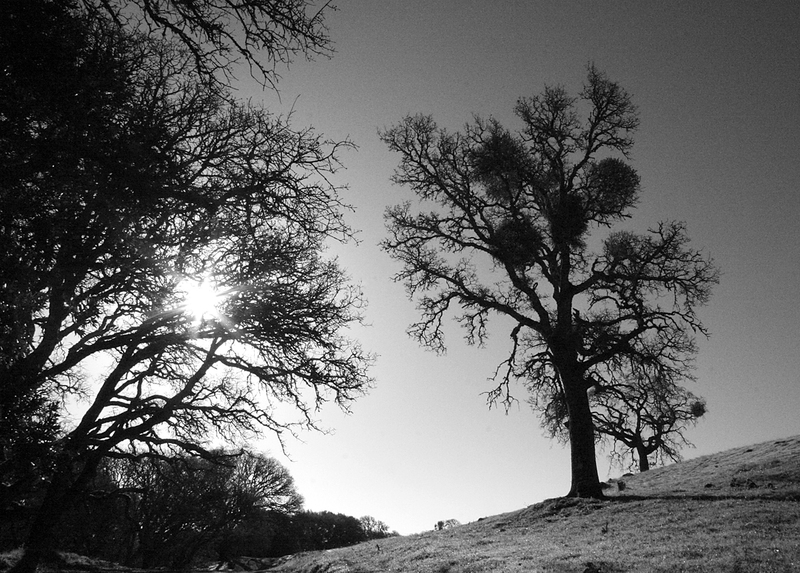 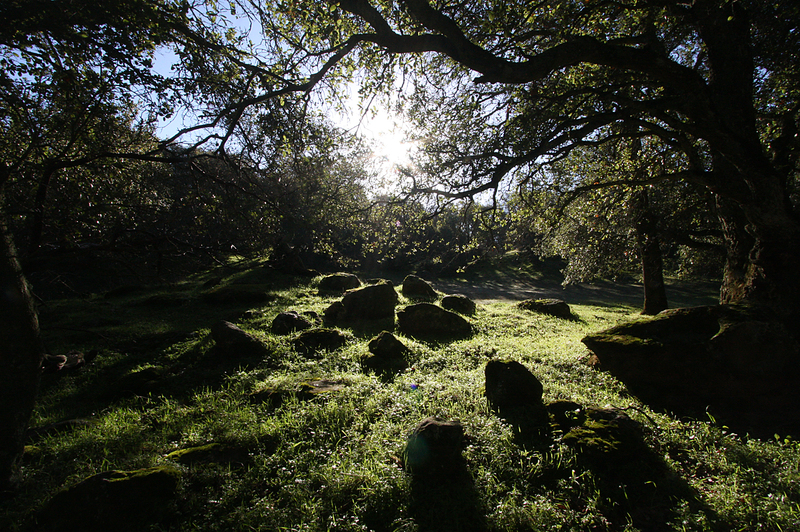 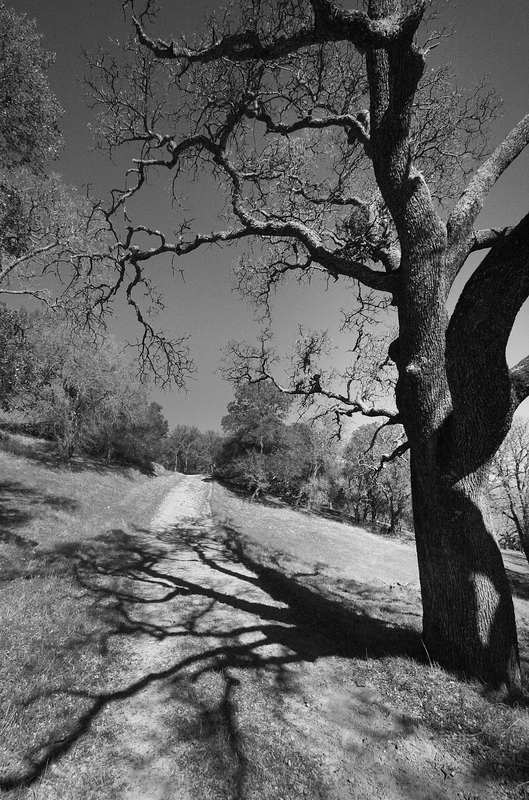 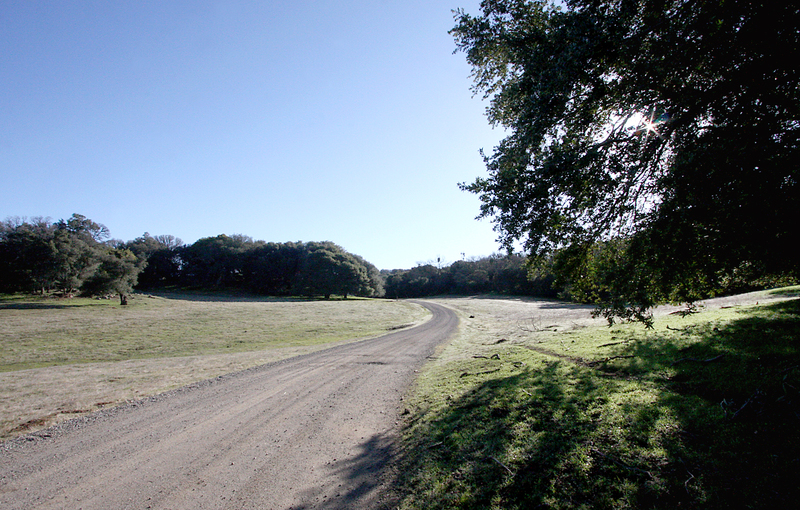 Part of the East Bay Park system, the miles of trail winding among the oaks trees and grasslands offers peaceful solitude as you climb the hills along the dusty roads. 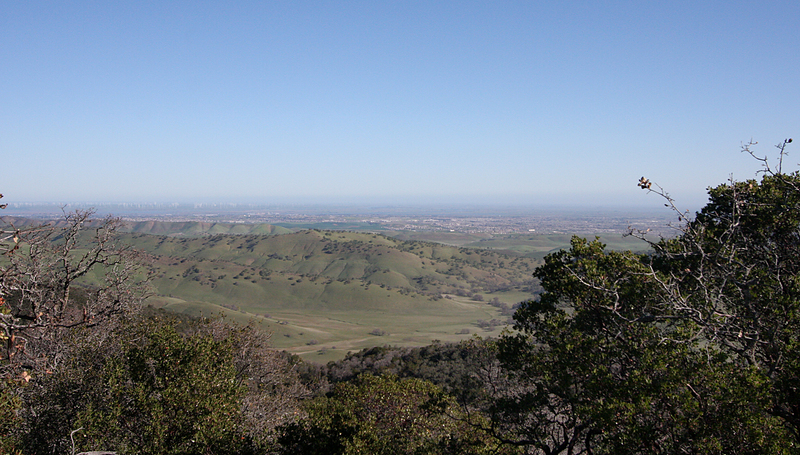 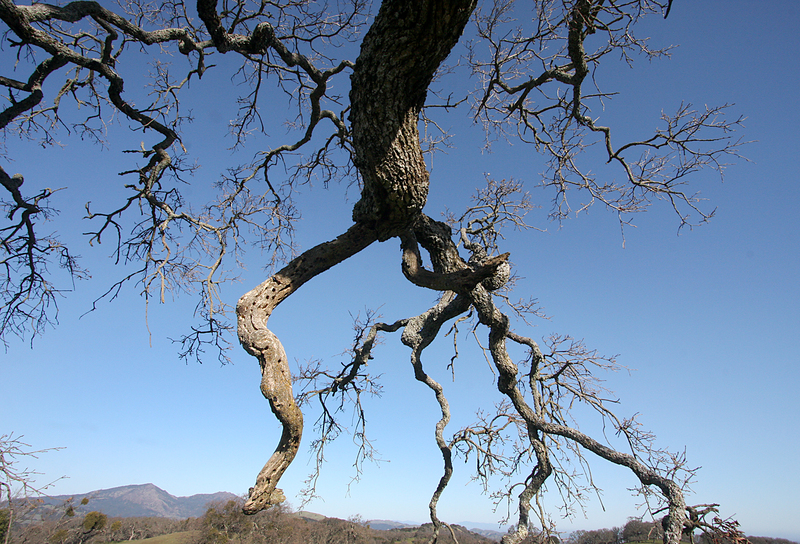 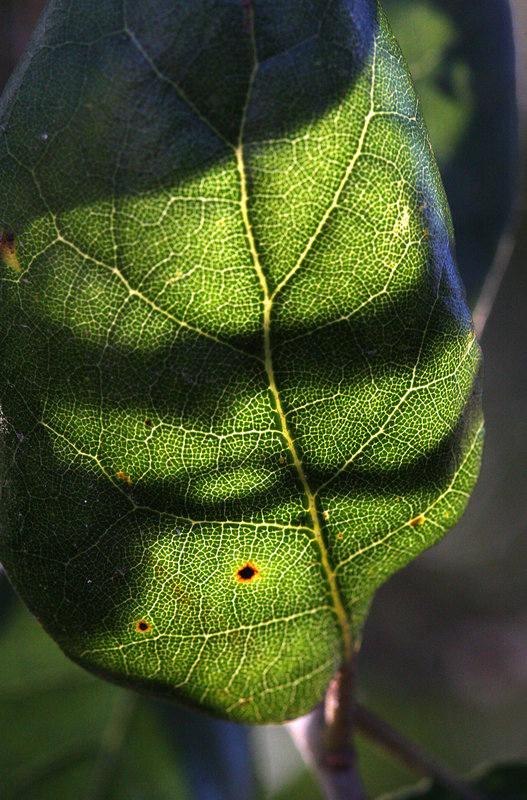 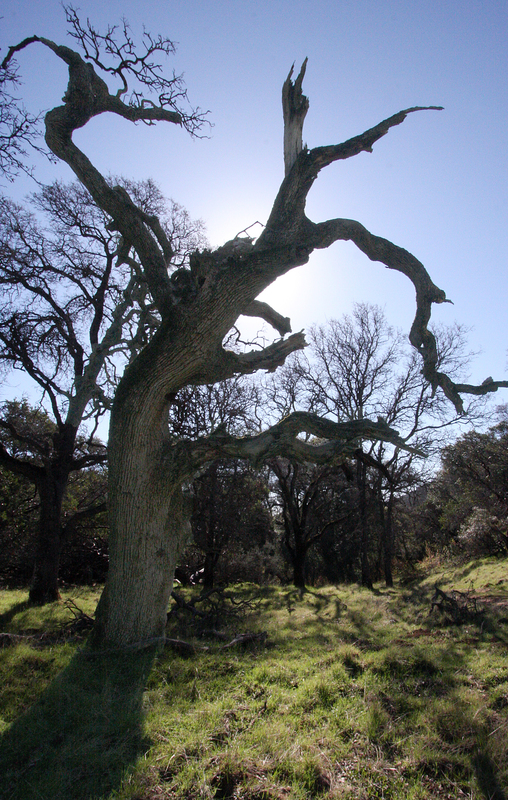 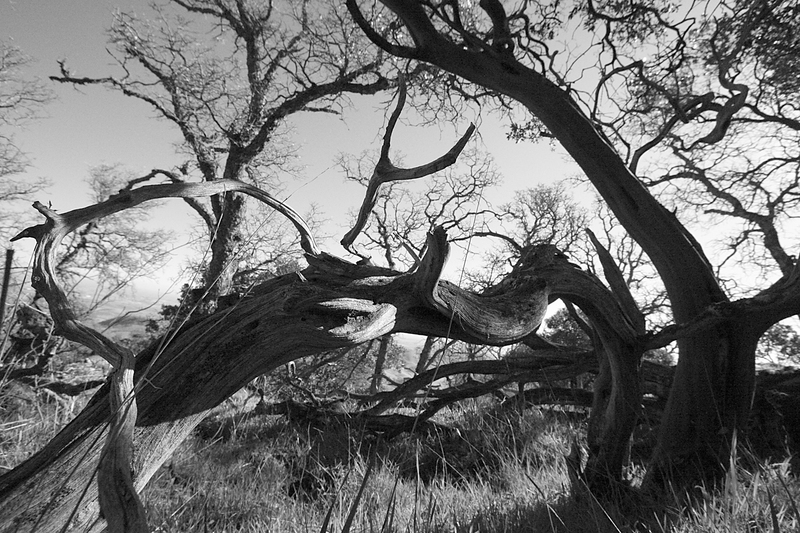 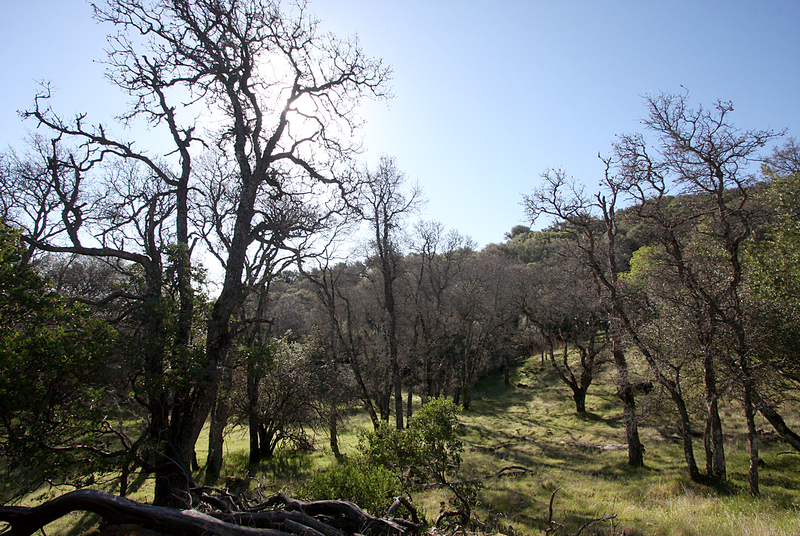 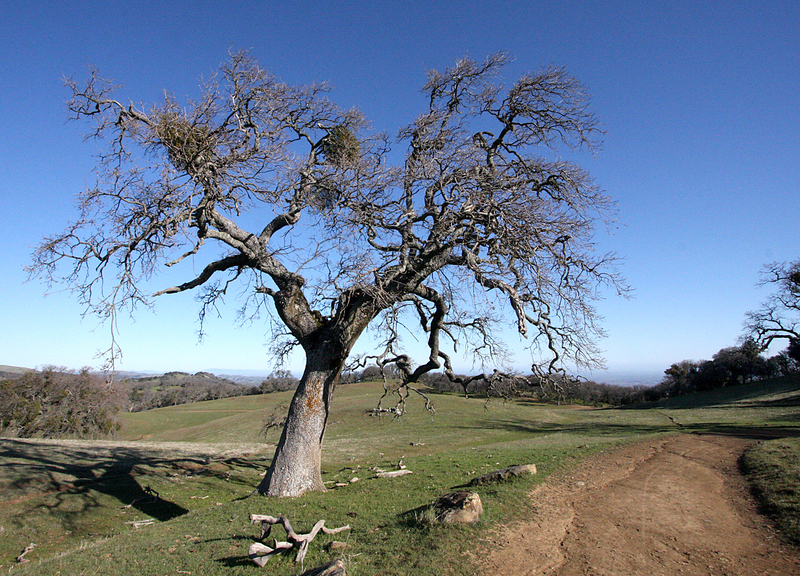 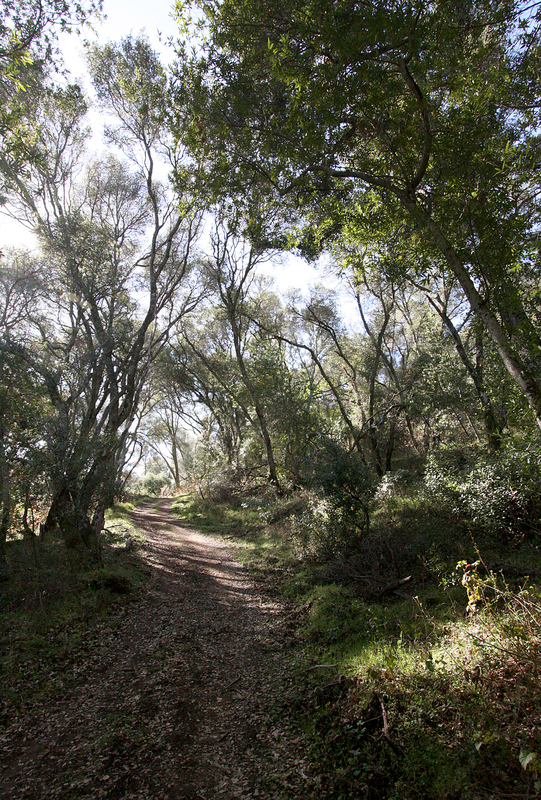 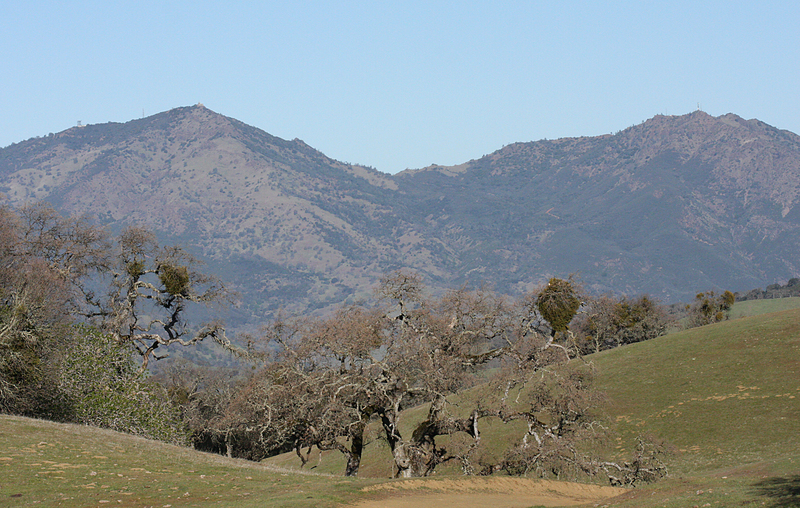 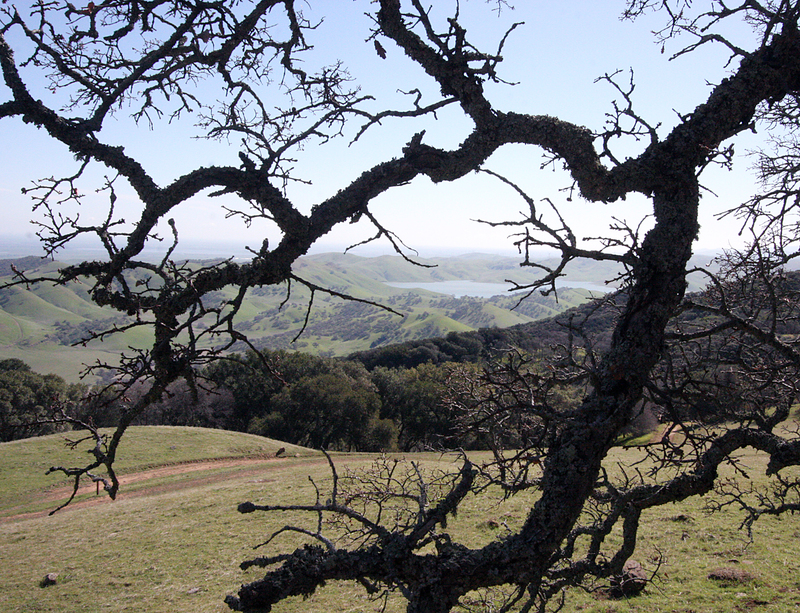 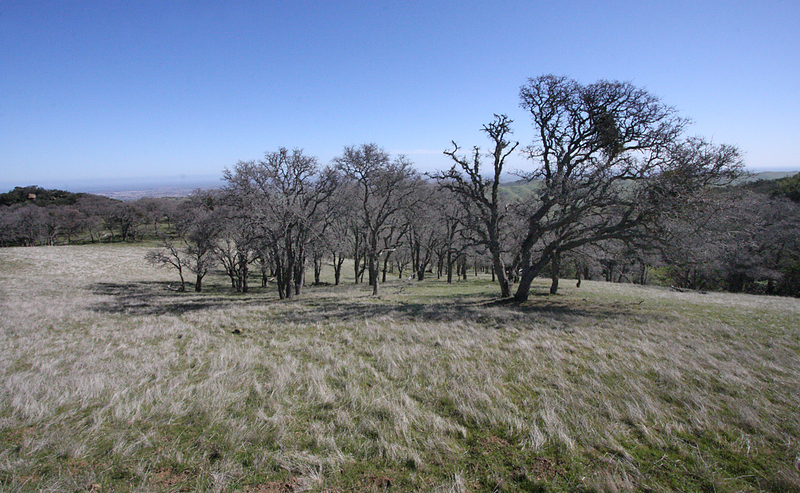 I picked the Volvon/Blue Oak Loop, a 7 1/2 mile hike trek along oak groves and grasslands. 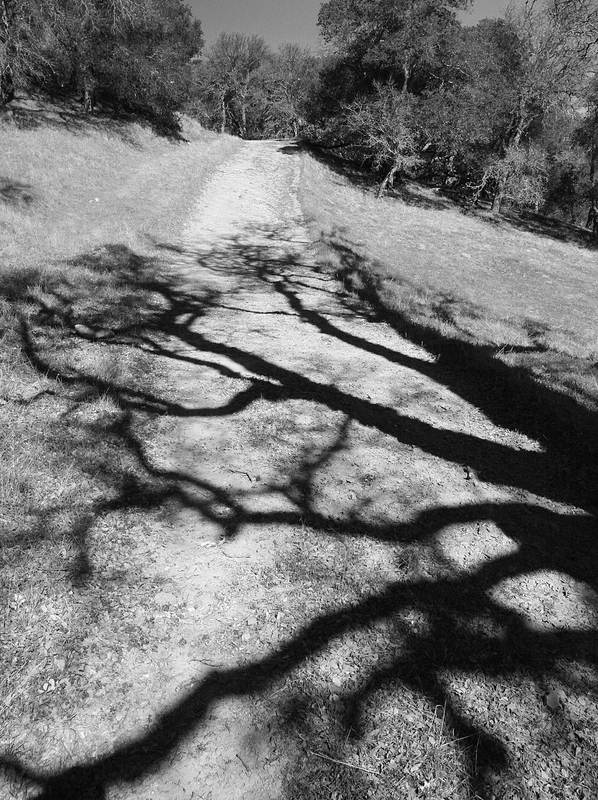 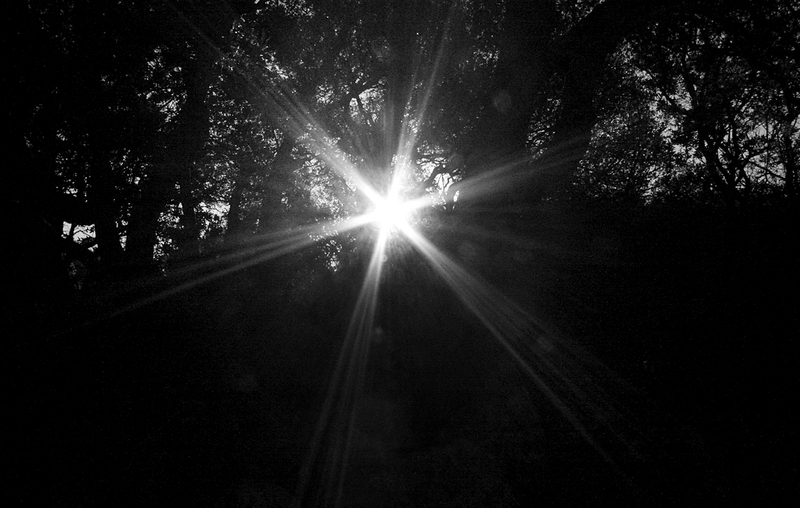 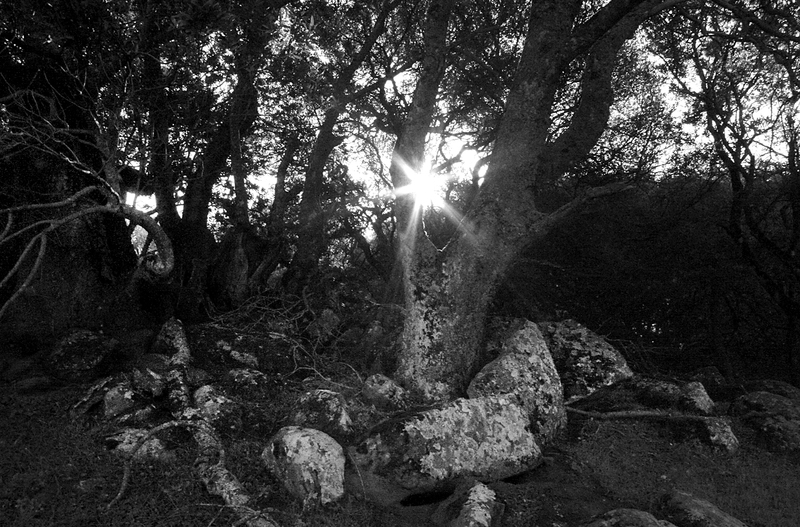 I started out shortly after the gate opened at 8 a.m. and set out on the trail as sunlight flickered through the branches sending shadows across the path. 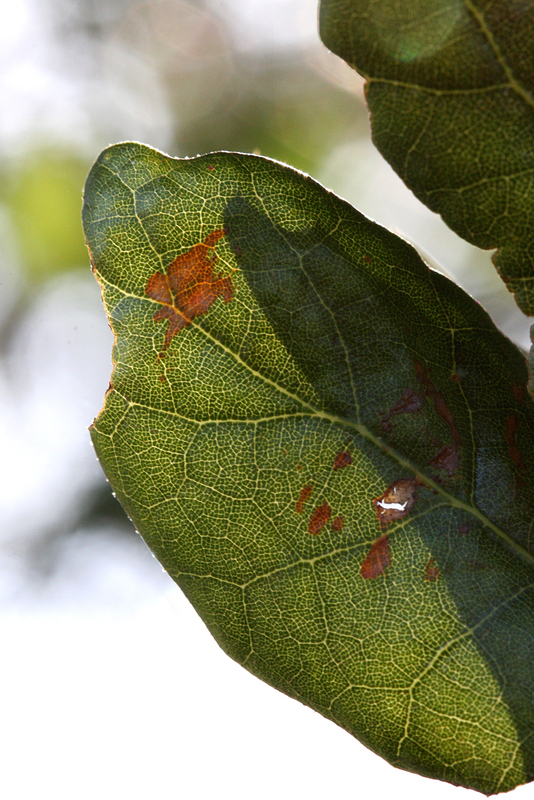 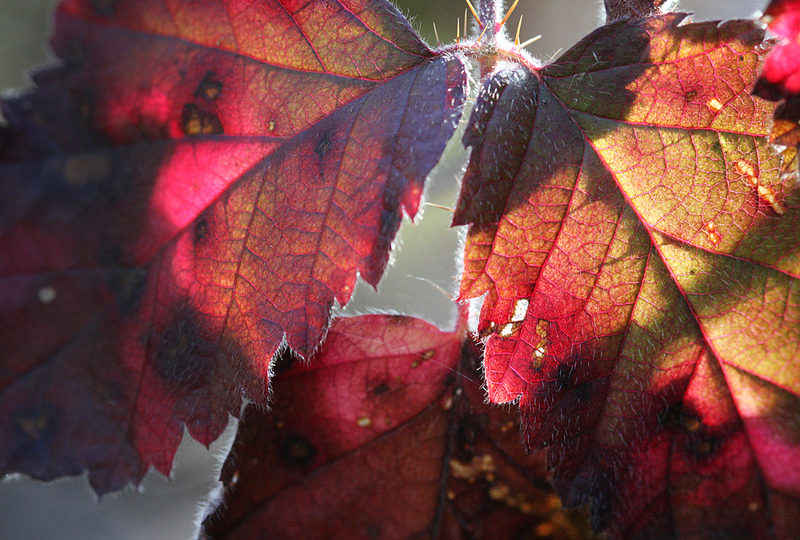 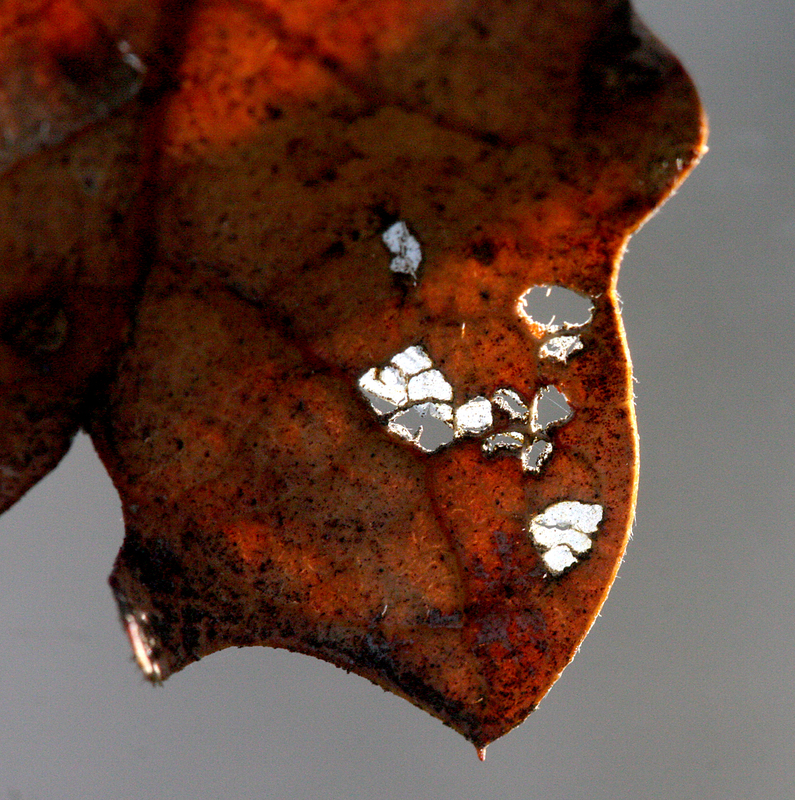 Even as the first signs of spring appear the last remnants are still around. 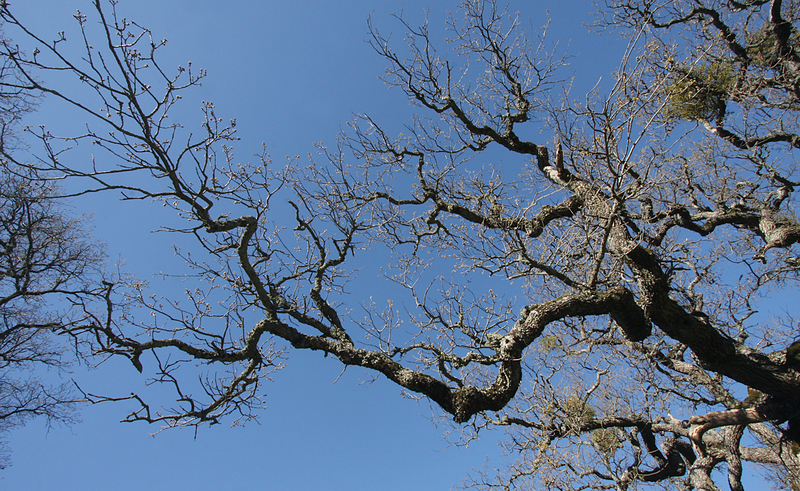 Bare tree limbs reach out to the sky in a stark stance against the deep blue sky. 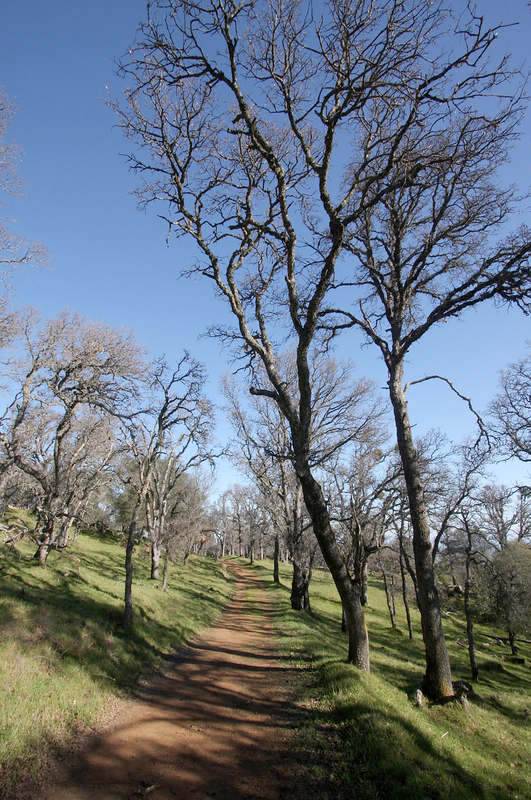 The first leaves and blossoms send a splash of color alongside the trail as I wound my may on the loop. 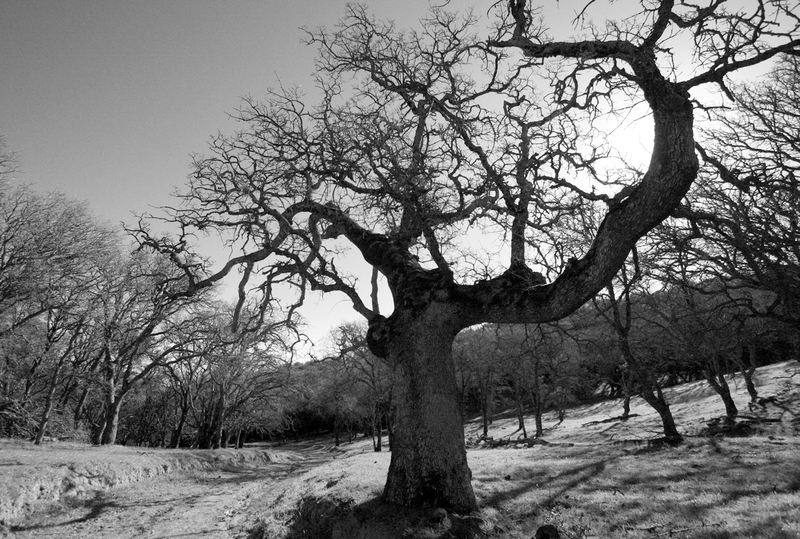 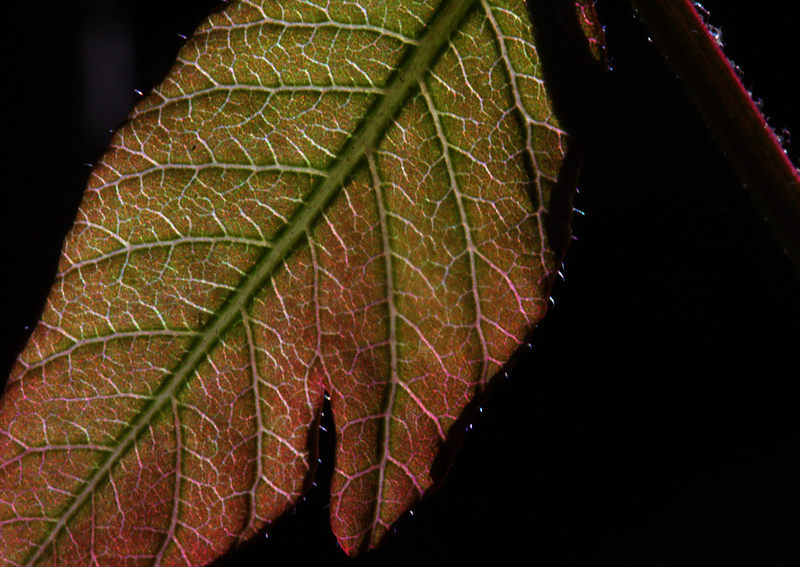 I found myself switching my Canon Eos 40D between black and white and color mode frequently. 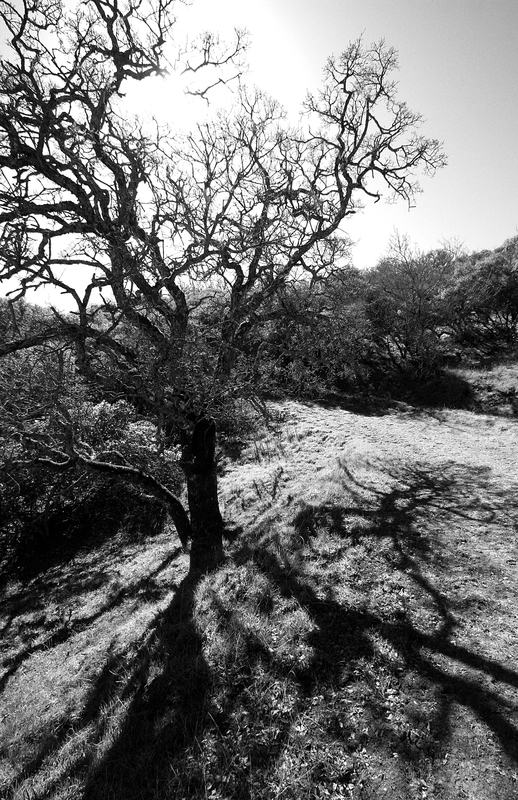 The last vestiges of winter called for a stark grayscale image while spring colors could only be told in full color. 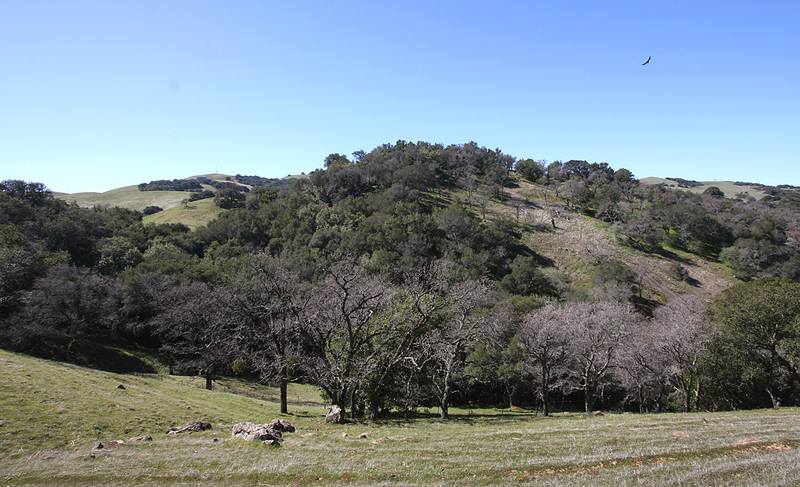 Soon the first wildflowers will appear and the colors of spring will dominate the landscape. 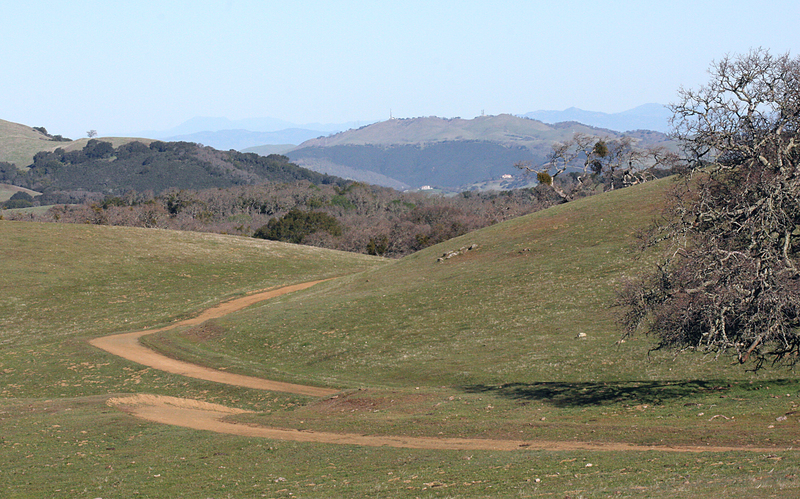 The rest of this month into April will be the green months, and soon the sights of summer will return to the trail golden hills will dominate the landscape as the heat makes even a simple trail challenging. 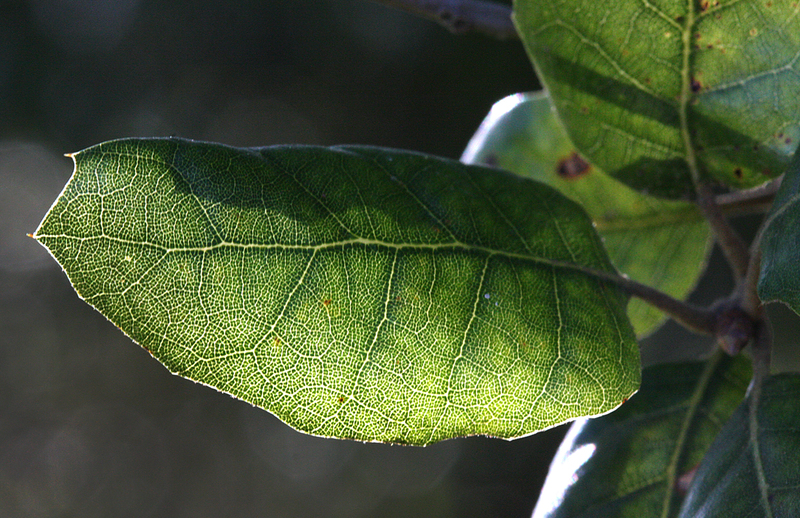 But for now I will enjoy these green months and savor the colorful sights they bring.